Vehicle unveiling and arson dog demos scheduled during Arson Awareness Week May 1-7 by National Auto Body Council Recycled Rides™ and State Farm® Arson Dog Programs. Several first responders and their K9 partners will receive donated vehicles this week during Arson Awareness Week. Lack of reliable transportation can be challenging, whether you are a first responder investigating a possible crime scene or an individual struggling daily to take care of your family. With wildfire season approaching, collision repairers in several states are teaming up through the National Auto Body Council’s Recycled Rides™ and the State Farm® Arson Dog Program to provide critical and reliable transportation for first responders and their K9 partners as part of 2016 Arson Awareness Week, May 1-7. Accelerant detection canines – known as arson dogs – are trained to sniff out minute traces of accelerates (gasoline, lighter fluid, etc.) that may have been used to start a fire. With limited resources, most fire departments, especially those in rural areas, do not have a dedicated vehicle for the arson dog team that would allow them to more effectively and efficiently respond to the scene of a fire. Eastern Sierra Arson Task Force for use by Fire Investigator Jeff Schwing and K9 Remington throughout southeast California. Vehicle repairs and modifications were made by Caliber Collision in Fresno, CA. Ocala Fire Department in Florida for use by Roseanne Moreland and K9 Gracie. Vehicle repairs and modifications were made by Jenkins Collision Center in Ocala, FL. 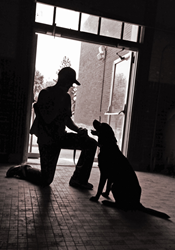 Maine Specialty Dogs for use by trainer Nicole Dyer to transport arson dogs to training. Vehicle repairs and modifications were made by Gerber Collision & Glass in Elkhart, IN. Beaver Falls Fire Department in Pennsylvania will receive a vehicle later this summer for use by Fire Investigator David Seidl and K9 Patty. Vehicle repairs and modifications are being made by Scotsman’s Collision in Mt. Sinai, NY. The vehicles were donated by State Farm and repaired and modified by technicians at the participating collision repair centers who volunteered their personal time as a community service. Parts, materials and services to refurbish the vehicles were donated by numerous other collision industry businesses. Since the inception of Recycled Rides in 2007, the collision industry has collaborated to donate over 1,000 vehicles valued at more than $12 million to individuals and service organizations in need. Each year billions of dollars in property and hundreds of lives are lost as a result of intentionally set fires, according to Heather Paul, Public Affairs Specialist for State Farm® Safety & Innovation. “State Farm is committed to helping to provide the necessary resources to combat the severity and impact of arson on businesses and public safety,” said Paul. For more information, contact the National Auto Body Council at 1-888-667-7433 or at http://www.NationalAutoBodyCouncil.org. Visit us on Facebook at http://www.facebook.com/NationalAutoBodyCouncil. The NABC’s Twitter feed is @AutoBodyCouncil.